Hey there! It is beautiful week on the plains! This momma has recess duty all week! The things I do to be involved in my children's education! 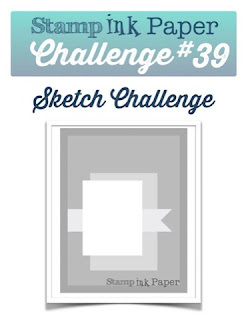 Team member Ginger Pelfrey has designed our sketch this week. I must say that my plan came together super fast! I could totally lie to you and tell you this card took HOURS! It didn't though... The concept really came about pretty easy once I looked at the sketch (for three days). Really trying to use colors that are not my usual aesthetic and decided to use the Elegant Eggplant, Always Artichoke and Very Vanilla! The offset rectangles I initially did like your layers when Triple Time Stamping. 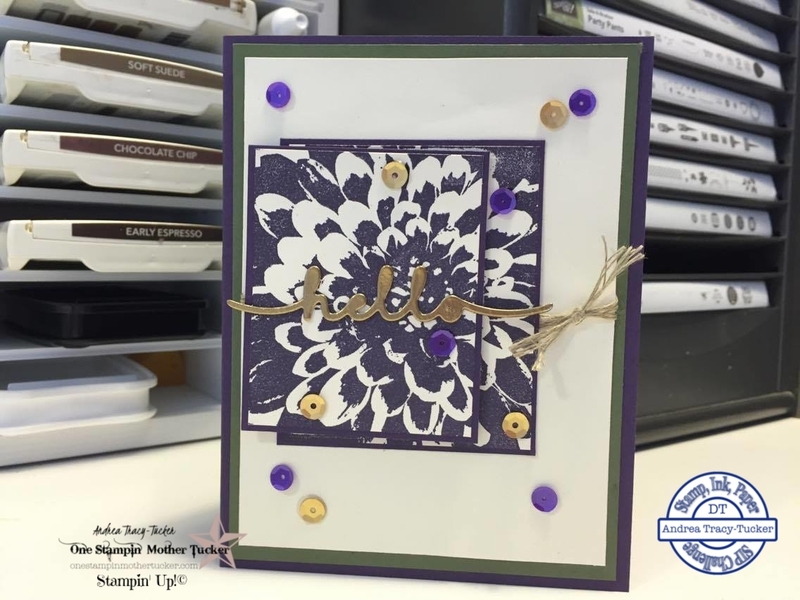 I then matted them with Elegant Eggplant and popped the top layer up with Stampin' Dimensionals. For the banner in the sketch I tied a cute little knot of linen thread. My lovely sentiment is from the Greetings Thinlits set. I cut this twice so that it popped up more. I then inked the die cut with Versamark so that I could sprinkle the Gold Stampin' Emboss powder on and heat emboss it! I adhered this to the card using our two way glue pen! Justin has truly rubbed off on me... I added a few Pretty Pink Posh sequins to finish this card up!